I liked the short stories better than the flash fiction, but the variety was awesome! Even though vampires are considered undead as well, I thought the lone vamp story was out of place, but I did like the ending. My favorite story was Must Love Zombies...sick, twisted...entertaining. This collection is a great way to check out the writing style of Julianne Snow. 5.0 out of 5 starsAn Anthology that leaves you wanting more. Being an avid reader you look for anthologies as a way to break the mind from the longer novels that you read. I have read several and recently had the pleasure to have read, ”Glimpses of the Undead”, by author Julianne Snow. The anthology was published by Sirens Call Publications and brings the reader some unique looks at the undead. The stories found within this anthology range from longer short stories to some flash fiction. They take the reader into some unique stories that are sure to peak the imagination and leave a person wanting more in some cases. To help you understand what you will find let’s take a look at some of the stories found within the pages. When you see the title you may think of the Japanese pilots that took their planes and crashed them into warships during World War 2. You could also think of how a person puts all at risk, knowing the odds to reach a goal. 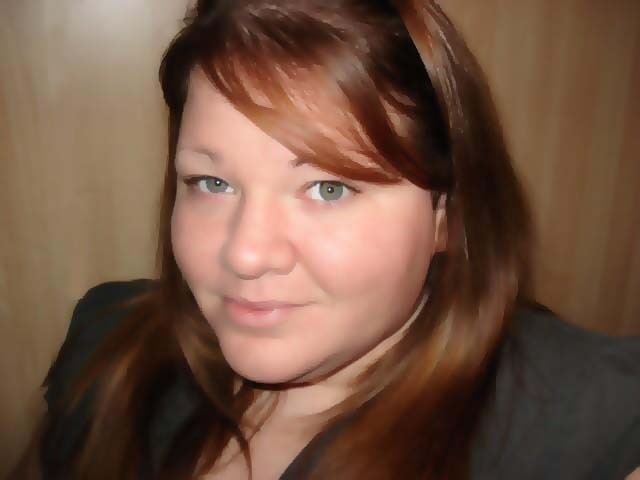 This story does follow that mold as a Melinda is going to do all she can to safer her man Lucas. She knows what she is going to do is illegal, but she loves the man. Her selfless act will lead to her being surrounded by police, but in truth this could be the safest place she can be. Just outside of this ring things have gone bad, very bad and they are on their way. The police have their focus on the wrong person they need to be watching what is going around them and not Melinda. As the realization hits it may be too late as the boys in blue may find themselves, lunch. I will admit this is one of my favorite, if not favorite, story out of the anthology. This story takes place in Canada and finds a woman, Vivienne, making her famous pasta salad for familiar activities for the upcoming Canada Day. The problems of the day begin to unwind as the television news shows a freighter smashing into Queen’s Quay. The impending disaster just gets worse as those who go to help become the first to die as the onslaught of the undead poor out into the city like the tide. The woman is eventually joined by her brother, Gavin, and they realize they must get out of the apartment. They hit the road and we follow their escape and search for safety as they drive her Prius. They eventually are able to talk to their mother and are told to head to the High School. What will they find at the school? Will it be more death, will their parents be alive? I just will give you a glimpse that the mind of Julianne Snow will take this story into an interesting place and one I really enjoyed. I’m going to give this story just a few sentences as not much needs to be said about this interesting story. All I will say is imagine that the world has found a way to make the undead normal and still functioning. You combine this with a round of speed dating with men and undead women, and the outcome well let the imagination flow. This is one of the flash fiction stories within the pages of the book. This shows that even animal is not safe from the hunger that seems to grip the undead. A horse, a majestic creature, which has eyes that show intelligence is trapped within its paddock as zombies circled the outside. The horse knows what it must do and will it escape. The last story that I will tease within the pages of Glimpses of The Undead is another of the flash fiction stories. This one is about a struggle and the fight that we must wage inside. The story is short but the struggle must have been epic as it is fought down to the smallest level of humanity. As I read through the other stories within the book, there is something for everyone within the pages. Those who feel zombies are not the only undead will be surprised to find a vampire tale within the book. The imagination of Julianne Snow is in full work within “Glimpses of The Undead”. The book is a great read and the turns and twists in the longer short stories to flash fiction will keep you reading and well entertained a great book for fans of the undead. This book had quite a few stories in it.Julianne Snow introduced a new view of what if.The flu mutation can cross species? Where would the safest place be to survive? Basement or Attic?What if there was a memo that was classified that was wide spread to warn folks to prepare in the 1940's,do you think people would take it seriously and be ready when what was described came to for-wishing 50 or 60 years later?Read "Vanier's Blueprint, Fight or Flight" to find out.That was one of my favorite story's.Gavin and Vivienne Wilson try to get to their parents home.And are surprised with what they find when they get to their old school,the place their mother told them to meet them. What if there were walking and talking zombies that had the same rights as the living under law?Find out in the story of Bethany and Gavin in "Must love Zombies. "I also liked hearing the journey of four friends trying to get to the US from Canada.Not even the children nor animals were safe.The book was well written and the characters well developed.Some of the stories were better then others, but it was a good read. I learned the name Julianne Snow on a Zombie Blog tour last year. Since then, I have been watching what she has been releasing in both novels and anthologies. I wanted to get a feel for her short stories and found this gem. From the first page, I was hooked. Many of the stories I read in the zombie genre are novellas or novels. Rarely do I find a collection of short stories that bring such a tightly delivered story in the zombie world. Snow is able to pull the stories off with style. 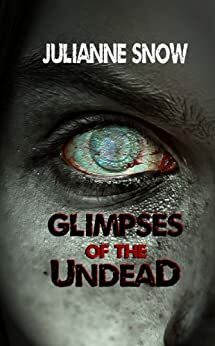 If you are looking for a good read, some various short stories that are well written, or a great introduction to an author you will become a fan of, pick up Glimpses of the Undead. Once you finish this great book, jump into her first book of her zombie series. 5.0 out of 5 starsA great new to me author! I won this copy on the Coffin Hop. This book has from the vanilla to the super crazy, and I loved it! I really like Julianne's writing style, and cannot wait to delve deeper into her z world! Great book!